When you're conducting an experiment, the outcome is a very important part. The outcome of an experiment is any possible result of the experiment. Learn about outcomes by watching this tutorial! Do real life situations always work out the way your mathematical models tell you they should? No! 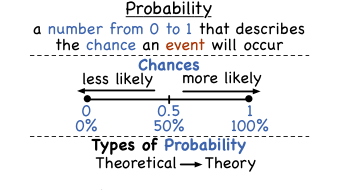 This tutorial describes how experimental probability differs from theoretical probability.